With so many flight options from Luton Airport, the airport is set to continue its rise in popularity and usage. This means that an increasing number of people are looking to arrange travel to and from Luton Airport. Thankfully there are a number of options for residents within easy reach of the airport to plan their travel. Anyone looking to travel to or from Luton Airport from areas like Luton city centre, Bedford, Harpenden, St Albans or Watford will find that there is a range of comfortable, convenient and affordable options. If you are looking to travel to or from Luton Airport from the north or the south you’ll find that there are options at your disposal. Anyone heading to Luton Airport from London or the south will find that there are a number of connection points. After linking up with Luton Parkway Station, there are easy connections to St Pancras Station, Farringdon, Blackfriars, Gatwick Airport and Brighton. There are also many connection points available from the heart of London which means that heading to Luton Airport shouldn’t be too problematic from the capital or the south of England. For people heading to Luton Airport from the north will also find that there are a number of connection points. The first point is Bedford but with connection points in Sheffield and Derby, it should be straightforward enough to determine a rail plan from cities in the north of England to Luton Airport. Three is a wide range of bus services that travel to and from Luton Airport, providing people with affordable and convenient travel options. As you would expect from a leading national coach service, National Express provide connections between Luton Airport and a wide range of destinations. The provider offers connections to and from Heathrow, Stansted and Gatwick Airport from Luton but also offer routes to and from Northampton, Milton Keynes, Cambridge, Nottingham, Leicester and High Wycombe. Stagecoach offers a service that runs between Luton Airport and Milton Keynes. The key stop-off points on this route include Milton Keynes Rail Station, Central Milton Keynes and the town centre of Luton. Metroline provide a service which runs between Luton Airport and Barnet, with the 714 service being the one you should look out for. Stops available on this route include New Barnet Station and London Colney. There is also the chance to travel between Harpenden or St Albans via this route. The Busway organisation provides a bus service from Luton Airport that runs via Vauxhall, Luton Station, Dunstable and Houston Regis. There are also a number of local bus stations that provide various connections to major areas in the local region like St Albans, Harpenden, Leighton Buzzard, Dunstable, Watford and Milton Keynes. There are also taxi options running to and from Luton Airport which should ensure that passengers can travel quickly and for a fair price. 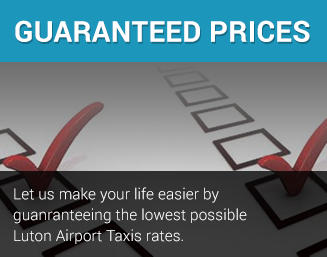 There are specialist harpenden taxi companies and luton taxis in local areas like St Albans and Harpenden who provide harpenden airport taxi services. This should ensure that residents in these areas can book and travel to and from Luton Airport with no hassle or fuss. Luton Airport taxi service provided by A-B SKY AIRPORT TRANSFERS LTD. We specialise in airport taxi transfers to and from Luton Airport for both individuals and groups. With the accent on a courteous,professional and personal customer service at affordable prices 24 hours a day, 7 days a week. To obtain an online quotation and make a booking please from the moment you contact us, we will do everything we can to ensure that your booking and transfer go as smoothly as possible. An experienced driver, with proven customer service skills and an extensive knowledge of the local area, will meet you in an air conditioned vehicle.